Explanation.- The date of credit to the account of the appropriate Government in the authorized bank shall be deemed to be the date of deposit. (2) The input tax credit as self-assessed in the return of a taxable person shall be credited to his electronic credit ledger to be maintained in the manner as may be prescribed. (4) The amount available in the electronic credit ledger may be used for making any payment towards tax payable under the provisions of the Act or the rules made thereunder in such manner and subject to such conditions and within such time as may be prescribed. (5)(a) The amount of input tax credit on account of IGST available in the electronic credit ledger shall first be utilized towards payment of IGST and the amount remaining, if any, may be utilized towards the payment of CGST and SGST, in that order. Note: This provision is to be incorporated in CGST Act. Note: This provision is to be incorporated in SGST Act. 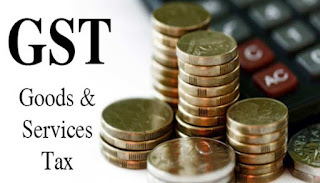 (6) The balance in the cash or credit ledger after payment of tax, interest, penalty, fee or any other amount payable under the Act or the rules made thereunder may be refunded in accordance with the provisions of section 38 and the amount collected as CGST/SGST shall stand reduced to that extent. (7) All liabilities of a taxable person under this Act shall be recorded and maintained in an electronic register as may be prescribed. (c) any other amount payable under the Act or the rules made thereunder including the demand determined under section 51. Explanation.— For the purposes of this section, the expression “tax dues” means the tax payable under this Act and does not include interest, fee and penalty. (1) Every person liable to pay tax in accordance with the provisions of the Act or rules made thereunder, who fails to pay the tax or any part thereof to the account of the Central or a State Government within the period prescribed, shall, on his own, for the period for which the tax or any part thereof remains unpaid, pay interest at such rate as may be notified, on the recommendation of the Council, by the Central or a State Government. (2) The interest under sub-section (1) shall be calculated from the first day such tax was due to be paid. (3) In case a taxable person makes an undue or excess claim of input tax credit under sub-section (10) of section 29, he shall be liable to pay interest on such undue or excess claim at the prescribed rate for the period computed in the manner prescribed. [hereinafter referred to in this section as “the deductor”], to deduct tax at the rate of one percent from the payment made or credited to the supplier [hereinafter referred to in this section as “the deductee”] of taxable goods and/or services, notified by the Central or a State Government on the recommendations of the Council, where the total value of such supply, under a contract, exceeds rupees ten lakh. Explanation. – For the purpose of deduction of tax specified above, the value of supply shall be taken as the amount excluding the tax indicated in the invoice. (2) The amount deducted as tax under this section shall be paid to the credit of the appropriate Government by the deductor within ten days after the end of the month in which such deduction is made, in the manner prescribed. (3) The deductor shall, in the manner prescribed, furnish to the deductee a certificate mentioning therein the contract value, rate of deduction, amount deducted, amount paid to the appropriate Government and such particulars as may be prescribed in this behalf. Provided that the amount of fee payable under this sub-section shall not exceed rupees five thousand. (5) The deductee shall claim credit, in his electronic cash ledger, of the tax deducted and reflected in the return of the deductor filed under sub-section (5) of section 27, in the manner prescribed. (6) If any deductor fails to pay to the credit of the appropriate Government the amount deducted as tax under sub-section (1), he shall be liable to pay interest in accordance with the provisions of section 36, in addition to the amount of tax deducted. (7) Determination of the amount in default under this section shall be made in the manner specified in section 51. Provided that no refund to deductor shall be granted if the amount deducted has been credited to the electronic cash ledger of the deductee.